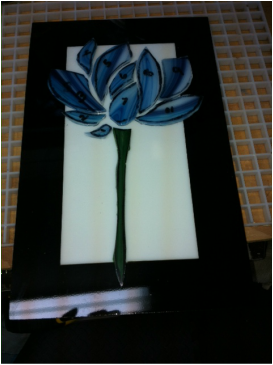 The basics are the same with fusing as with traditional stained glass. You start with a basic shape, break it down into specific design elements and cut separate pieces. They can be stacked several layers high. 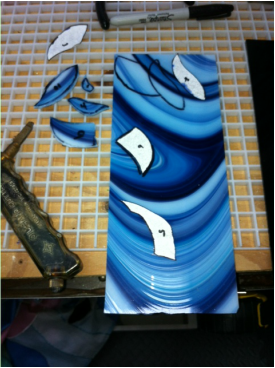 Here, the pieces are partially cut. 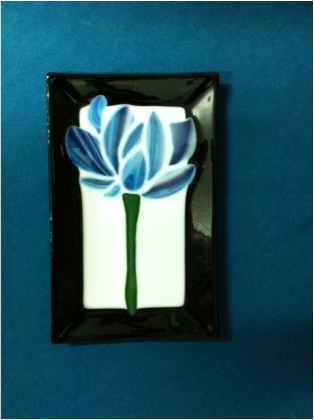 In fusing, the piece is heated at up to 1450 degrees and slowly cooled. This and takes most of a day. The piece will now be about 1/4" thick. 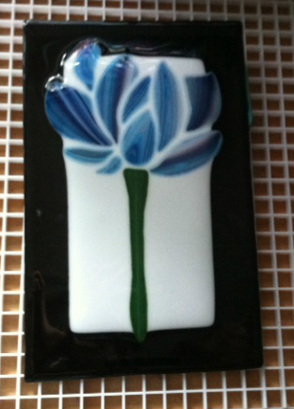 The final step is to heat the piece again, over a mold, to 1200 - 1240 degrees or so. Gravity takes over and the glass relaxes into its new shape.